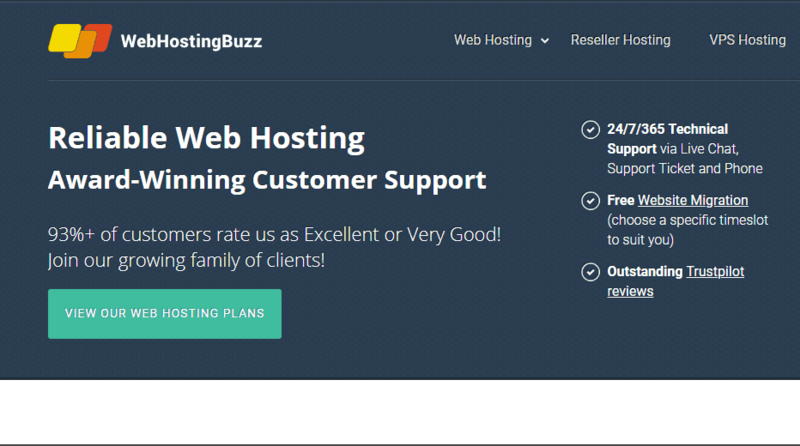 WebHostingBuzz Review 2019: Is WebHostingBuzz a Good Hosting? WebHostingBuzz, an American company, has it all: unlimited storage and bandwidth, affordable packages, free migration, and a fast chat service. WebHostingBuzz started in 2002 with the idea of providing affordable hosting services at a time when companies were charging high prices for standard services. They boast over 250 servers in three different data centers serving over 250,000 websites. They are based in New York, U.S.A.
To start with, WebHostingBuzz offers free migration service to customers who are moving to them from another host. Since they offer decent packages, it is likely that you may want to move to them for their services. In that case, the free migration service will come in handy. WebHostingBuzz prides itself on its fast web servers so you can expect a high performance from them. Fast servers eventually help with faster page loading which in turn helps your site in search engine rankings. Along with fast servers, you also get a fast support system that will set up your website within minutes. Their hosting packages do not include a free SSL but you can opt for a paid one. WebHostingBuzz offers three different packages for you to choose from. Depending on your needs, you can choose a package and ensure safety for your website as well as for its visitors. Most of the hosting companies these days offer a one-click installer for people who aren’t web programmers. This one is no different. With the one-click installer, you can install applications and scripts, such as WordPress, Joomla, Prestashop and many more applications that will help you run the website successfully even if you are not a programmer yourself. Thanks to the easy-to-use cPanel control panel, managing your websites should be as easy as it gets. You can manage your resources usage, files, applications, and statistics all from the same interface. This is also where you will be able to see how much disk storage you have used and how much is remaining. However, thanks to the massive hard drives and 10Gigabit internet, you should not have to worry about storage and bandwidth issues. They offer three different packages named Buzz Light, Buzz Power, and Buzz Premium. The pricing is quite affordable when you consider the fact that you get unlimited disk space and bandwidth. The Buzz Light package allows a single domain only whereas the other two packages allow unlimited domains. Similarly, Buzz Light offers 400GB of disk space while the other two packages offer unlimited storage. It is worth mentioning for the price they charge, 400GB is more than enough. Only the Buzz Premium package allows you to pay monthly. For Buzz Light and Buzz Power, you can only pay yearly or for two years. There is a discount to be had if you pay for the whole duration upfront. Users can also make use of the 45-day money back guarantee if they aren’t satisfied with the quality of the service. At first look, their support service looks impressive. They offer 24/7 chat as well as a 24/7 ticket support system. The waiting time for live chat is guaranteed to be less than ten seconds whereas, for tickets, you are guaranteed a response within half an hour. Their chat was temporarily unavailable due to technical issues at the time of writing this review. Looking at their documentation and tutorials, one can see that their support system is quite professional. Fast servers and affordable packages alone should be convincing enough for the average website owner to happily choose WebHostingBuzz. Add to that other features, such as the cPanel, SSL certificates, unlimited storage, and bandwidth and WebHostingBuzz is almost the ideal website hosting provider. Wondering how WebHostingBuzz stacks up against other Web Hosting companies? Enter any other Web Hosting company and we will give you a side-by-side comparison.